Akron, OH - With a 6-1 win in Game 2 of the Eastern League Championship Series, the New Hampshire Fisher Cats (Toronto Blue Jays Double-A affiliate) took a 2-0 series lead on the Akron RubberDucks (Cleveland Indians), and can clinch the title with a win at home in Game 3 on Friday. 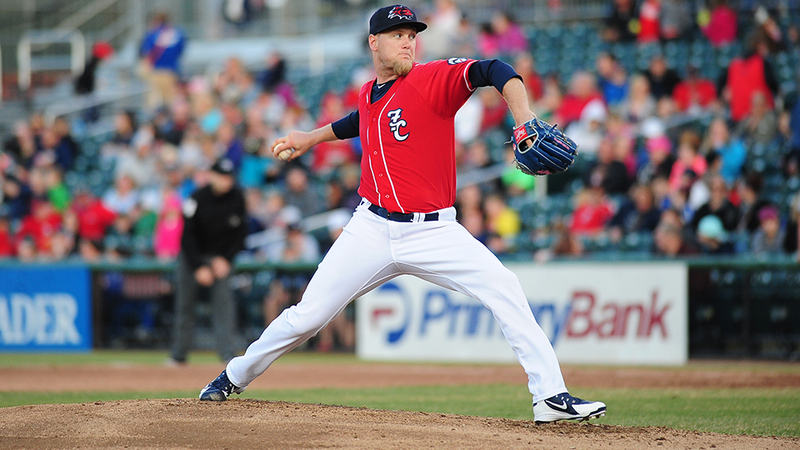 Jon Harris (W, 1) made the most of his first playoff appearance with the Fisher Cats, holding the 'Ducks to just one run on five hits with no walks and seven strikeouts in 6.1 innings. The lone run came on a first inning sacrifice fly, which followed a leadoff double from Ernie Clement. From there, New Hampshire scored six unanswered runs. Jon Berti hit a two-run single in the third, and scored on a groundout from Cavan Biggio to make it 3-1. The Fisher Cats added another run with a walk, a single, and two errors in the sixth. Santiago Espinal hit an RBI single to make it 5-1 in the eighth, and Josh Palacios scored on a wild pitch to cap the scoring at 6-1. New Hampshire's bullpen was terrific as ever, with Jackson McClelland (0.1, K), Kirby Snead (1.1 IP, 0 H) and Corey Copping (1 IP, 3 K) closing out the ballgame. The Fisher Cats will host Game 3 on Friday at Northeast Delta Dental Stadium at 6:35 p.m., as well as Game 4 on Saturday and Game 5 on Sunday if necessary. The 'Cats need one more win to clinch its first Eastern League title since 2011. Tickets are available at NHFisherCats.com or (603) 641-2005.